Sufjan Stevens Carrie & Lowell Cassette Tape illinois michigan indie rare NEW!!! 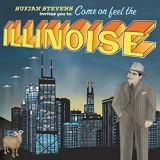 Illinois is ranked as the best album by Sufjan Stevens. Members who like this album also like: Kid A by Radiohead, Funeral by Arcade Fire and In Rainbows by Radiohead. 2. The Black Hawk War, Or, How To Demolish An Entire Civilization And Still Feel Good About Yourself In The Morning, Or, We Apologize For The Inconvenience But You're Going To Have To Leave Now, Or, 'I Have Fought The Big Knives And Will Continue To Fight Them Until They Are Off Our Lands! Related links: top tracks by Sufjan Stevenstop tracks of the 2000s, top tracks of 2005. Showing latest 5 ratings for this album. | Show all 1,507 ratings for this album. Sufjan Stevens made his love to the places he knew an art. I don't think anything as conceptual in this way was done before, other than by himself. This album is full of instruments, voices, drums, things, and I don't even know what more, it's like you are in a carnival, It is such an experience. "Chicago" is such a powerful track, that string section is just ridiculously epic. I didn't expect anything like that to be in the 2000s. It is also packed with clever and descritive lyrics, It feels like an diary. "Casimir Pulaski Day" is the most haunting and beatiful track about death that I've heard in my life. Everytime I get to hear It i get so emotional, I don't think any other artist like Sufjan can make such a personal experience so outer-expective, so reachble. This tracks make me believe Sufjan is one of the best minds in music out there. My favourite album discovery of the year. So pleasant, so ambitious, so well flowing... Thank you BEA! Gotta say, there's not a dull moment on this album, and with double LP's it's almost impossible not to have at least one filler track, but Sufjan just makes a story that you never want to put down. This album jumps from bombastic symphonies to melancholy acoustics, but it's just structured so well that I'm never wishing that something else was on. Such an amazing blend of hard-hitting minimalist tunes with fun and dynamic orchestral masterpieces. Amazing album! I usually skip the filler tracks but the rest is good enough to make do. "Predatory Wasp" and "Decatur" are my takeaways, but there is A LOT of amazing songs on here. I feel bad for anyone who cannot appreciate this. This album takes you on a journey unlike any other.